« Waikato & Bay of Plenty Housing Shortage! 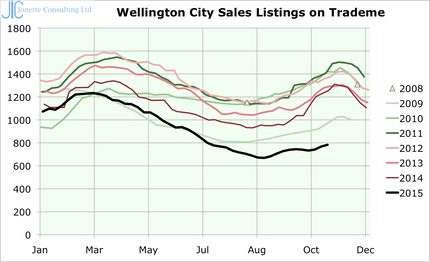 Last time I posted in August, �it looked like supply was falling significantly below demand in Wellington. �This has continued to extend a long way below, such that the market is severely out of balance. 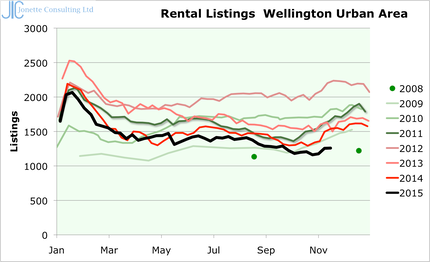 �Anecdotal stories show the market for both rentals and sales is very hot in Wellington. �Agents are sending out newsletters leading for new listings, open homes are busy with minimal advertising. �Auckland continues to move in the opposite direction with supply now exceeding demand. Since the last post I have privately sold a property in Wellington, it was like falling off a log, advertised on trademe on Friday, Sunday open home at 1pm was full, with 30 groups and at one stage in the 2-hour open home 30 people were in the 100m2 townhouse. �Within 3 weeks we had 11 offers, with most very close to the purchase price exactly $100,000 above CV. 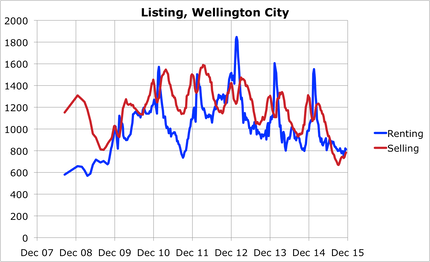 Wellington City Sales listings on Monday were 400, or 30% below the same time last year and 200 below the minimum ever before. 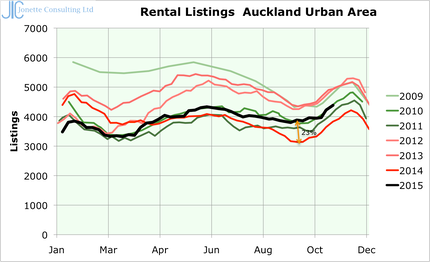 While rental listings are rising again, it is well below seasonal levels, being only a squeak over 2% of rental properties. �That makes finding a rental property difficult. 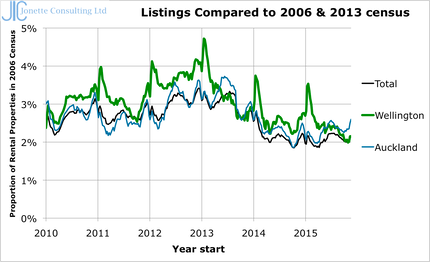 Both are below previous records, the Rental listings in 2008 may be due to Trademe being fairly new then and most landlords, including us, using the newspapers more than trademe. Two very different markets, Wellington running out of rental properties and being an excellent investment opportunity, but Auckland moving into a glut, showing dangerous over-capacity.